These balls have a tremendous feel off the club face. Excellent spin control and great distance off the tee. If they are good enough for Tiger Woods you know they are the best. ProsGreat all around. Great feel. Very soft, very easy to compress. Fantastic spin with short irons and wedges. Distance is average - not bad, not great. Ball performs really well. Bridgestone has found something with their golf ball lineup-Woods, Bryson, Kuchar. I prefer a little softer feeling ball-especially off the putter, but that's just my preference. ConsSlightly firm in my opinion. Been using these balls for the better part of a year and prefer them over my prior ball, the Titlest Pro V1x. Like the feel, flight and sound off the club. ProsSoft, good looking, nice feel off all clubs. Responsive on and around green. Great ball, feel around the greens & chips from 30 yards feel soft for great control. I try other balls, especially the lower compression balls because I am getting older and have lost swing speed. I keep coming back to the Tour B RX ball because I consistently get better results than with any of the other balls I have tried. After being a loyal to one brand guy for years I decided to give this ball a shot. I mainly chose to try this due to its spin and launch angle around the greens. Is it longer off the tee? Maybe, maybe not. Is it better around the greens, absolutely. Logos last a few shots! Logos started coming off of balls after 1st hole played. I took another ball out of another sleeve afterwards to see if it was maybe just that ball and after just one hole that logo started coming off. 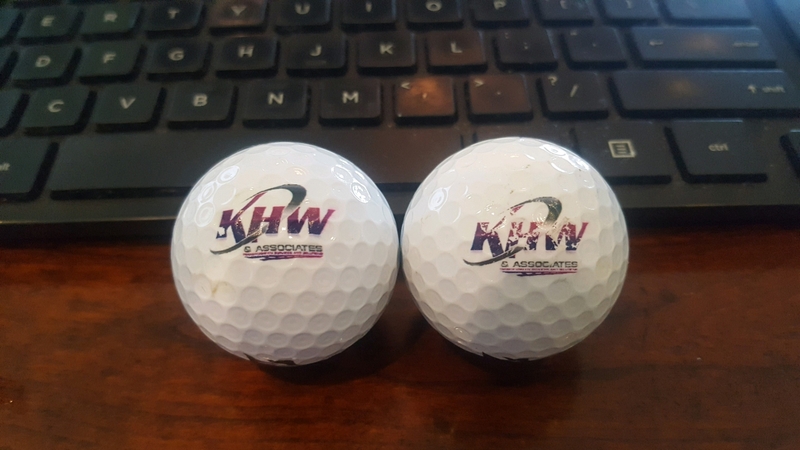 NEVER had this before with a logo'd golf ball, but I guess never say never! Terrible service for having the balls logo'd. Not acceptable! ConsTerrible service in stamping logo on balls! Great ball! Good Distance for sub 100mph swings and great feel. I stink at golf, but these balls definitely help reduce my spin rates. I took advantage of the special pricing offered by Bridgestone for their golf ballls. I purchased the Tour B RX and can’t believe how good this ball is. I ordered the balls on a Sunday and received shortly after. Great product, longer than previous models. I love this ball. Great feel. I tend to hit less wood and water with these. Great distance and the best ball I have played in the short game. Putts like a dream! really hits and travels a great distance with control. just line up and hit it. Prossoft with very good distance and control. i seem to have more control hitting this ball over the pro v series balls. i never thought i would say this. Consconsider lowering the price a little. Golf balls came on delivery day and everything spelled correctly. Great Ball! Longer than Pro V.
Ball feels great off every club. Excellent value Have switched to the Big B! ProsBall is just as long as ProV off the tee but straighter. Hit more fairways. Excellent spin with short irons and wedges. Great feel off putter face. I have used the RX ball for years and wanted to try the RXS model to see how I would like it and I am very pleased. I have used these balls for years and the new version is even better. Consistent length off the tee and a good cover that allows for more than just one round. I've played golf my whole life. I'm a scratch golfer at my home course and usually shoot mid-low 70's on longer, tougher courses. I'm not a masher of the golf ball and don't hit my irons very well. My strokes are saved around the green. I've played all kinds of balls over the years and ended up using Bridgestone the last 8 years or so. I've loved all the B330 series as well as the E6. Just more feel and cost effective vs Titleist. This new ball has changed my game. THE most feel I've ever had around the green. Excellent spin off the wedges. I prefer the Red x with less spin as this ball will make a u turn. Durable cover that lasts. As an added bonus, it's longer playing than any other ball I've used recently. I'm about a half a club longer with my irons and my drives are about 10 yards longer. I've changed nothing but the ball. I definitely suggest you give it a try! If you aren't satisfied I'll buy what you don't use! I've played golf my whole life. I'm a scratch golfer at my home course and usually shoot mid-low 70's on longer, tougher courses. I'm not a masher of the golf ball and don't hit my irons very well. My strokes are saved around the green. I've played all kinds of balls over the years and ended up using Bridgestone the last 8 years or so. I've loved all the B330 series as well as the E6. Just more feel and cost effective vs Titleist. This new ball has changed my game. THE most feel I've ever had around the green. Excellent spin off the wedges. Durable cover that lasts. As an added bonus, it's longer playing than any other ball I've used recently. I'm about a half a club longer with my irons and my drives are about 10 yards longer. I've changed nothing but the ball. I definitely suggest you give it a try! If you aren't satisfied I'll buy what you don't use!